Welcome to the non-US Poker Bankroll Building Guide. This is the bankroll building guide for all non-US citizens to use, as a lot of these sites will not allow US players. Please note that sites that do allow US players are included in this guide, because they also allow non-US. This guide is designed to maximize your bankroll in the shortest amount of time with the least amount of risk. Note: This article hasn’t been updated in awhile. 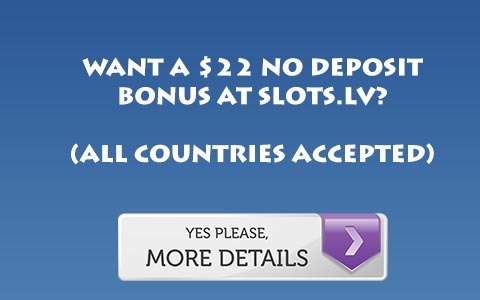 In April 2014 however we updated our other bankroll building guide, with some great no deposit bonuses for casinos. Click here for that. Strive to have at least 20 buy ins for your stake in No Limit Poker and 300 Big Bets for Limit Poker. You can get away with 15 (or even 10 if you want to take risks) buy ins or 200 big bets, but why do you want to increase your chances of going bust? Once the bankroll is gone, your initial investment and all of your hard work is GONE. You won’t be able to clear those bonuses to get it back either, so you will have to build using harder bonuses. Don’t set unreasonable goals. If you are playing to clear $1,000 in bonuses in two weeks, you will put added stress on yourself. You can clear the top bonuses quickly, but don’t rush it! Play at the same rate you normally would or you risk playing too many tables and too many hands and making more mistakes. Most importantly, don’t move up to re-coup your losses. It is ok to play a stake above your safe zone if you are comfortable and see a juicy table. It is not ok to do so while you are desperate. Crazy Poker is part of the Microgaming Network. This is the best bonus for a new player because it requires only $50 to take advantage of, and can be cleared in 250 hands. visit Crazy Poker. Pokertime has what may be the best bonus online. We recommend doing it after Crazy Poker due to the size of the bonus, however . It is rare to find clearing requirements as low as one point per $1, let alone when the points are easy to earn. How easy? This bonus pays out well above 100% rakeback. In fact, the bonus is the equivalent of 250% rakeback. To read more about this bonus or to take advantage of it, visit Pokertime. Pokerari’s bonus is great for new players, not just US players. It clears at the rate of 80% rakeback, so even at the microstakes you will be able to clear most of, if not all of the bonus even at No Limit $10. For more information, visit Pokerari. True Poker’s bonus clears more slowly than in the past, but for a bankroll of this size it is a quality bonus while playing 2/4 or even 1/2. We are able to offer 30% rakeback at True Poker too, which makes it all the sweeter. For more information, visit True Poker Rakeback. Red Cherry Poker’s bonus clears at the same rate as Pokerari. It is much larger, so you may ask “Why not do this first?” Well, it is much harder to clear a larger bonus at micro stakes. So if you clear this bonus later on, you will be able to play No Limit $50 or even $100 or .5/1 or 1/2 Limit and clear this bonus with ease. Visit Red Cherry Poker.